A pervasive visibility platform that provides consistent visibility into data-in-motion across the entire enterprise: public, private, hybrid clouds and on-premise infrastructure. By using this platform, you can manage, secure and understand your data for monitoring and analysis. 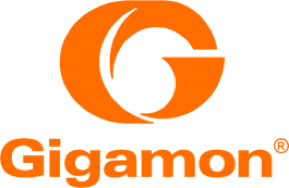 As you 'lift-and-shift' or deploy new applications to the AWS public cloud, the Gigamon Visibility Platform provides a pervasive and consistent visibility into data-in-motion across the entire enterprise: public clouds, hybrid clouds, private clouds and on-prem infrastructure. The Platform allows you to manage, secure and understand your data. The Platform is comprised of 4 AMIs with the GigaVUE-FM Fabric Manager as the main orchestration and entry-point AMI and initial point of subscription. To understand how to deploy the platform, please review the 'Getting Started Guide' below. Using a combination of user space agents (G-vTAP) deployed into the EC2 instances, intelligent visibility nodes (GigaVUE V Series) and centralized management (GigaVUE-FM) that integrates with Amazon EC2 APIs and CloudWatch, the Gigamon Visibility Platform supports flexible deployment models to manage, secure and understand traffic-in-motion within the AWS cloud, regardless of whether your security and monitoring infrastructure is on-premise (hybrid model) or all-in AWS. In a dynamic and scale-out architecture, elastic, and automated visibility across your VPC is provided using a patent pending feature called 'Automatic Target Selection' that identifies traffic of interest for analysis from new EC2 instances that are launched.